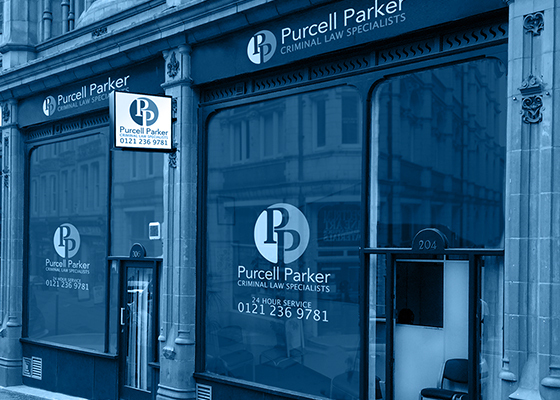 Established in 1979, we are one of Birmingham’s most successful and well known criminal law firms, offering a full range of criminal defence services to the public for nearly four decades. The firm has gone from strength to strength and now has five directors who are practising solicitors with a wealth of experience in different aspects of criminal defence law, from prison law to fraud and white-collar business crime. The directors are supported by a team of other solicitors, barristers, paralegals and support staff who, together, ensure our clients receive the highest levels of service throughout their case. This ranges from offering an initial consultation to being there before, during and after your case goes to court. As a criminal defence firm, we solely offer criminal defence services and legal advice. Our lawyers are all specialists in criminal defence, which means we will always offer you the most relevant, up-to-date and effective advice for your legal issue. Whether you need help from a solicitor with expertise in prison law or motoring offences, fraud or tax evasion, we have a specialist who will listen to you and do everything they can to help. We undertake a significant amount of publicly funded work (legal aid) and are approved by the Legal Aid Agency to provide legal advice and representation in criminal cases, from the police station right through to the most serious cases in the Crown Court. We are an approved Very High Costs Cases (VHCC) provider, which demonstrates our ability to deal with the most complex and serious of criminal law cases. We are also one of the few firms nationally to be approved to undertake publicly-funded work on behalf of prisoners in relation to the full range of issues that arise when they are being held in custody. We are also experienced in providing the highest standard of service to clients paying privately for representation before the courts for offences which do not qualify for legal aid such as road traffic offences, or who might not qualify for Legal Aid on means testing. We understand that the prospect of losing your job, receiving fines, penalty points or losing your driving licence can be of grave concern and we will therefore explore every avenue to avoid such a scenario. We’re conveniently located in Birmingham city centre with easy access to the whole West Midlands and the nearby towns of Worcester, Warwick, Coventry, Leamington Spa, Stafford and Wolverhampton. If you’re based in any of these areas we’ll happily make the time to see you to discuss your case and if necessary to represent you at your local Magistrates Court or Crown Court. We want you to know that we’re normal people just like you. We understand that legal issues can be extremely scary and so when you contact us, we want to make sure you know that you have a specialist on your side. Whether you need a solicitor or barrister we will direct you to the best legal specialist for your specific case. Find out more about which of our legal experts specialises in different areas of criminal defence law: from prison law, white-collar business crime, financial regulatory offences, tax fraud investigations, insider trading and motoring offences – to name just a few – by visiting our team page.